Frequently asked questions about the Be Happy in LIFE child coaching programs, including why we are your best choice, where it all happens, how long it takes, how much it costs, what happens if you don’t live in Brisbane and more. Can you really coach kids? From what age can you coach kids? How do you coach kids? How do you handle kids with learning difficulties? What is the difference between coaching and educating? 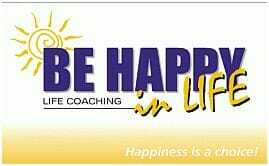 What’s special about the Be Happy in LIFE child coaching program? How long is the child coaching program? How often do you meet with the kids and parents? Aren’t you afraid that if the parents become coaches, they won’t use your services anymore? Where do you meet the kids and parents? What if my child lives far away from Brisbane? How much does child coaching cost? Yes, we can coach kids. Actually, it’s easier to coach kids, because we help them create a positive belief system and attitudes towards themselves and others during a period when they have a high ability to absorb. We do it before they start getting frustrated with themselves and their world, so they don’t have to “unlearn” as much as adults do. We fit the style and pace of the program to the age and situation of the child, so they just enjoy some time talking about themselves and think it’s a lot of fun. We believe that children are gifted and that they can do amazing things that grown-ups don’t expect them to do. We’ve coached kids in child-care environments from as early as 2 years of age. We use games suitable for their age to activate in them positive thinking, curiosity, sense of security in their surrounding, trust and confidence. We work with them to base their position in life on “I’m OK, You’re OK”, which they can understand intuitively. Children learn best while they play, because the new knowledge is associated with fun. We bring into our child coaching 29 years of experience in teaching through games, coupled with extensive knowledge of the learning process. We assess their communication style and find the best way for each of them to absorb information and we present the program in the way that suits them best. Children with learning difficulties are no different from other kids. We believe that learning difficulties result from a brain that’s “wired” differently. We’ve found that children with learning difficulties have exceptional abilities in other areas, which can be used to compensate for the difficulties, so we build on each child’s strengths to bypass the area of difficulty. We diagnose learning difficulties in kids as young as 2 years old and the earlier we diagnose them, the earlier we can teach the child to compensate, the better the results and the quicker we get them. What is the difference between child coaching and counselling? In kids coaching, we do not dwell on the reasons, because we want to avoid this negative outcome. Instead, we focus on the future, because no matter what has happened in the past, any person can make it better and learn to achieve, grow and be happy. What is the difference between child coaching and teaching or educating? Teaching is about introducing knowledge and skills in preparation for some unknown use later. Education is typically about introducing knowledge and skills about specific values and about what’s socially acceptable. Unfortunately, this usually means that education is externally motivated for many young people. Child coaching, on the other hand, is about gaining control over your mind, body and soul right now! It deals with the things that are important to you, not to somebody else. This makes kids coaching incredibly effective, because you can see positive results right away and this encourages you to continue, so you get better and better results. At the same time, your confidence grows, until you feel you can handle just about anything, and then you’re happy. Our program is holistic and long-term focused in its approach. We work with the children to build their emotional intelligence and then teach the parents how to sustain and even enhance the positive changes. In a sense, the parents become their children’s coaches at home. This combination ensures a healthy support structure for the child’s change and growth long after the kids coaching is over. Ronit Baras has a Bachelor of Education in Special Education and a teaching certificate in several countries. She is is a Justice of Peace (in Queensland, Australia). 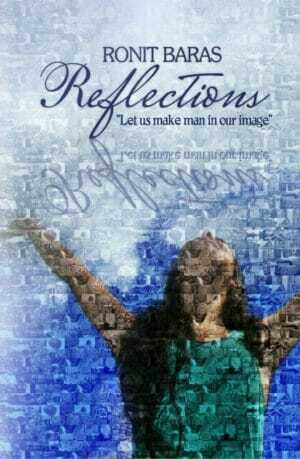 She has a diploma in journalism and is an accredited Life Coach. Ronit specialises in learning difficulties and gifted kids. She has over 22 years of experience in education, using coaching methods to enhance the academic, social and emotional development of children. 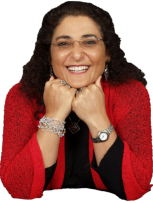 Ronit is a public speaker on language acquisition, teaching with games, the learning process, goal setting, time management, communication styles and various other coaching-related topics. She also has a column on education, parenting and life skills in a Melbourne-based newspaper and a regular contributor to Insight Magazine Ronit is a mother of 3 gorgeous kids. She currently lives in Brisbane, Queensland, Australia. How long is the kids coaching Program? The kids coaching program is what we call “3+1”. Ronit will asses your child over 3 different session, one hour each, write a detailed report and meet the parents for a 2-hour session to give them insight into their child’s emotional intelligence and processing abilities, including coaching tips to support their child at home. In most cases, the 3+1 program is enough for parents to learn ways to support their child for years to come. In the 3+1 kids program the first 3 sessions takes one hour each and the session with the parents takes 2 hours. If long travel is involved, the sessions with the child can be changed to 2 x 1.5 hours. How often do you meet with the parents? With the 3+1 child coaching, we recommend seeing the kids at least a week apart to make sure we cover long term memory and examine the kids’ ability to learn new things and recall what they’ve learned, preferably at the same time of day and day of the week. Not at all. We think that parents have the their child’s best interest at heart and, because they spend more time with their children than anybody else, parents can do a wonderful job, given the right tools. We are happy to teach parents how to coach their own kids, because this way they join the Be Happy in LIFE family in spreading happiness, love, caring, acceptance and success in our world. We live in Brisbane, Queensland, Australia. Parents with kids come to us from NSW, Sunshine Coast and Toowoomba. I coach children who are 14 years old or older who don’t live in Brisbane (Australia) through Skype (see teen coaching page). When I work with younger children, I use more neurolinguistic programming (NLP) techniques, and they work better when the child is physically next to me. Therefore, I encourage parents of young children, who cannot come to see me in person, to consider parent coaching, so that I can teach them how to help their kids with the same techniques I use, which they can use every day at home. In fact, I believe that in most cases, this is the best strategy. When children are coached by me, they progress quickly, but their growth is limited to the number of sessions they get. When they are coached by one of their parents (or both), they progress much faster and their changes are sustainable. The child coaching service, without a report, costs AUD1,122, including GST. This price includes 3 x 1-hour sessions with the child and a 2-hour session with the parents. With a comprehensive report, which you can share with your child’s school and others at your discretion, it costs AUD1,650, including GST. This price includes 3 x 1-hour sessions with the child, a 2-hour session with the parents and a detailed report about findings and recommendations. You will receive a tax invoice for each session.